Occupation Details : Arihant News Paper Agency (Dist.- Amar Ujala, Danik Jagran, Hindustan Times). One Owner Shop In Nanauta (Saharanpur). Jain Trading Co. (Wholesaler & Retailer) Deals In Disposal Products, Plastic Tirpal & Plastic Material Etc. 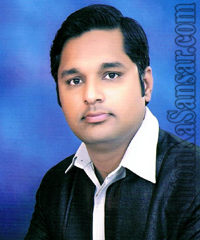 Asset Details : Two House & Four Shop In Main Market Nanauta (Saharanpur) And Other Properties. Vehicle : Two whiller bike and activa.